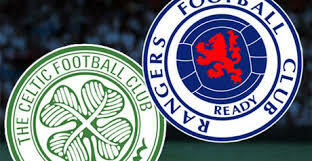 Can the likes of Celtic and Rangers make it in England? Home » Articles » Will Scottish Clubs Move Down South? Will Scottish Clubs Move Down South? The age-old debate is once again the centre of attention for many Celtic fans as their team marches on towards another league title; should they be playing in England? Football League Chief Executive Shaun Harvey explained the ‘five division’ proposal at the start of the season, with a final decision expected to be made in June of next year. This would see the re-arrangement of the current four division domestic system into five divisions of 20 teams from 2019 onward. This aims to improve fixture congestion, one of the biggest concerns in English football. This therefore once again provides Scottish clubs with the opportunity to have their names in the hat for English football contention, especially as Welsh clubs like Swansea and Cardiff have been competing in the country for many years. There will however be a number of barriers preventing their move down south, with the journey to stadiums being the one of the more straightforward potential problems. The list of complications is long. Celtic fans may strongly believe that their club is capable of competing with the top teams in England and therefore suitable for the Premier League. Other fans meanwhile will undoubtedly view the matter differently, not to mention the unjust and complicated matter of entering a completely new team into the Premier League at the start of a new season. 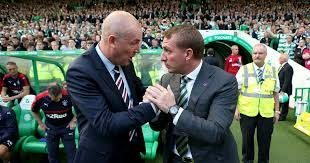 Many supporters of English football clubs may not be aware of the gap between Celtic and Rangers and feel that the two clubs go hand in hand, and although Celtic appear unstoppable, Rangers are sitting second in the table and so require a certain level of respect regardless of opinion. The points gap is obviously strongly in favour of Celtic, but second place is a respectable position for a club playing their first top-flight season in years. If the Scottish champions are the only club taken seriously enough to be drawn up for the new Football League plan, this will cause serious conflicts throughout the nation. Firstly, other clubs will put their case forward as to why they deserve to compete in England if that is what they desire. Secondly and perhaps more significantly, FIFA are always vigilant about protecting national associations, and would therefore be against any changes to Scottish football. Their viewpoint is understandable and logical as the removal of the top clubs in any league may cause a collapse throughout the entire structure, but then again the Scottish Premiership is not like many other top-flight leagues. Celtic fans are overjoyed at their club’s dominance over many recent years, but the song regarding ten consecutive league wins is a rare sound across almost every football league in Europe. Placing them and their rivals in England provides a rare opportunity for a different club to grab the limelight and win a league title, also providing Celtic with a genuine title challenge, an unfamiliar concept to many at the club. Countless groups would welcome the change. New stadiums, new supporters, and new players – all very exciting features that would surely improve what is indeed a business after all. Bigger crowds generate more money, which could be spent on players that will want to drive these clubs up the lower leagues of English football. Moreover, Celtic held their own against Premier League opposition in the Champions League this season, and they along with Rangers have Premier League experience, quality, or indeed a mixture of the two among their ranks. The former are under strong leadership in a manager that came so close to winning the title itself, while the latter have provided English clubs with various talented players down the years. Scottish football is in desperate need of a shake-up, not just in developing home-grown talent, but also in terms of promoting the standard of the game and to provide higher quality players to a national team that is continuously failing at international level. A four league system of 40 teams is certainly unique, but ultimately outlandish, and so perhaps losing the top performing teams in the league may cause the SFA to update this league format. Improved squad selection and managerial decisions may additionally generate an improvement at national level, but that argument is more suited for another time, perhaps after the remaining World Cup Qualifying fixtures. Therefore if Scottish clubs transfer to England, and that is a strong if, the only feasible option is to grant them status in the lowest league. This will force them to work their way up through the leagues, thus testing their capabilities and aspirations over a long period of time. To put it simply for the long-running champions Celtic, they need a challenge, and this is the perfect opportunity.